With the official Spring launch of the Elemental Collection closing in, I thought I would share a little more about each of the elements that make up this collection and the people who have made it possible. Last fall the botanical candle line was unveiled. 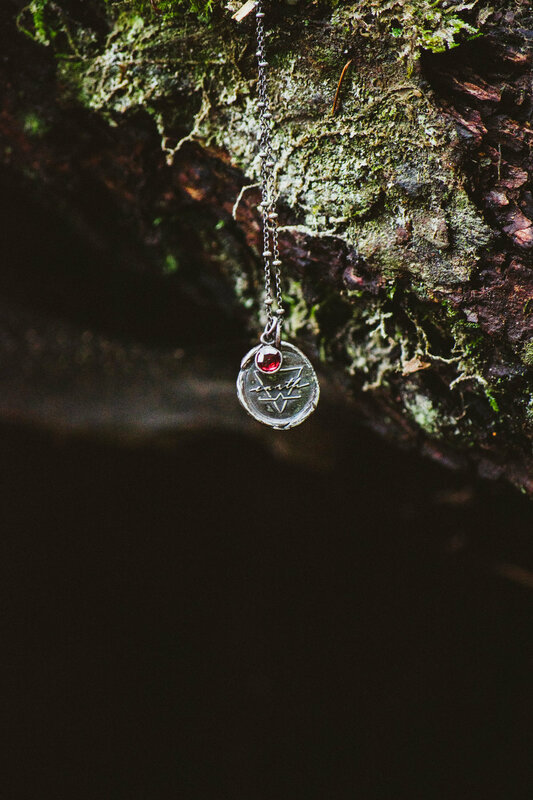 Inspired by nature and based on the four elements; earth, fire, water, and air, the collection is expanding and will now include a new line of pendants formed from recycled fine silver (99.9% silver) and a custom collection of wax seals. 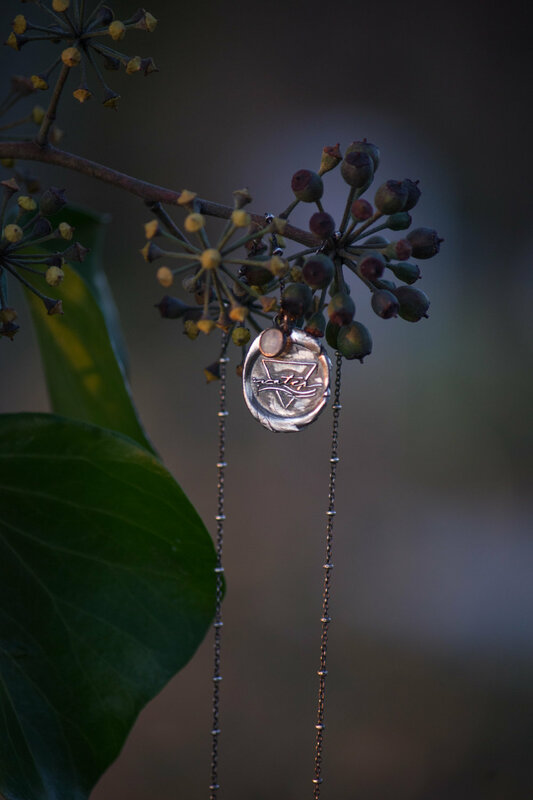 Each piece symbolic of the seasons and cycles of life. Working with Mahshed with Paper Ocelot over the past year, has been such a profound experience. I can honestly say that she was truly able to captured my soul and express it through design. What initially started as candle labels has morphed into so much more. The ideas for new products keep flowing through me like a monsoon! The magnificent photographs that showcase this collection so beautifully are from Jenna with Flint & Feather Photography. Despite meeting just days before Jenna moved two provinces away, we have made it work. It has all felt divinely timed... how Jenna and I met, how I fell in love with her photography, and most importantly how we have woven threads of reverence and connection. Jenna's soul shines through in all that she does and her artistry as a photographer truly showcases the love and intention behind each piece. Earth is represented by red garnet. The earth element is feminine, deep, and strong. It is dark, rich soil, rocky boulders, and intricate root systems. It is the warm pulse deep within the core of mother earth; the heartbeat of Gaia. Earth grounds, nurtures, and sustains. Fire is represented by citrine. The fire element is masculine, confident, bold, and driven. It is our inner sun that encompasses our full creative power and bravely shines for all to see. Fire inspires, emboldens, and transforms. Water is represented by moonstone. The water element is feminine, mutable, intuitive, and ever changing. It is ability to trust, allow, ask for, and receive. Water cleanses, strengthens, and softens rough edges. Air is represented by clear quartz. The air element is masculine, focused, direct, and clear. It is integrity, discernment, and vision. Air is forthright, sincere, and perceptive.